The TCU University Concert Band gives students and community members from all backgrounds a creative music-making environment with a limited rehearsal schedule. Offered during the spring semester, the University Concert Band performs a wide range of musical styles and gives music majors opportunities to improve their performance on secondary instruments. There is no formal audition for the ensemble; however, music majors that are interested in performing on a secondary instrument will need to demonstrate proficiency on that instrument. Interested students should enroll in MUSI 10220. Rehearsals are scheduled on Mondays 5:00-5:50pm and Wednesdays 4:00-5:50pm. The Concert Band performs one concert at the end of the spring semester. Experience the TCU School of Music. The school performs hundreds of concerts and performances throughout the year. Expand your horizons with study abroad in more than 50 countries, service-learning trips overseas and internships around the globe. 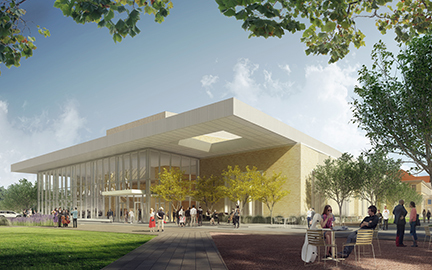 Your investment in the TCU School of Music will make an impact that reverberates around the music world.